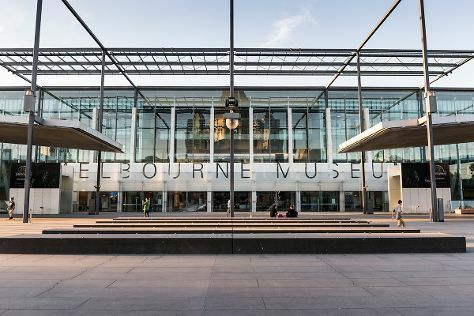 Museum-lovers will appreciate Melbourne Museum and Shrine of Remembrance. Do your shopping at Melbourne Central and Minotaur Entertainment Melbourne. Go for a jaunt from Melbourne to Ballarat to see Sovereign Hill about 1h 55 min away. Spend the 5th (Sun) wandering through the wild on a nature and wildlife tour. There's still lots to do: kick back and relax at St. Kilda Beach, enjoy unforgettable views with a balloon tour, see the interesting displays at The Ian Potter Centre: NGV Australia, and take in nature's colorful creations at Royal Botanic Gardens. To see more things to do, where to stay, maps, and more tourist information, read our Melbourne trip itinerary app . If you are flying in from India, the closest major airport is Melbourne International Airport. In May, daily temperatures in Melbourne can reach 20°C, while at night they dip to 9°C. Cap off your sightseeing on the 11th (Sat) early enough to travel back home.